The motto “In God We Trust” has been printed on U.S. currency since the Civil War, but the U.S. Court of Appeals for the Eighth Circuit confronted the question of whether it violates the Constitution for the first time in an Aug. 28 ruling. The answer? The motto does not violate the Constitution. A three-judge panel of the St. Louis-based court, which has jurisdiction over Iowa and six other Midwest states, rejected arguments raised in an appeal of a Minnesota District Court decision by 27 atheists or children of atheists and two atheist organizations. The plaintiffs argued that government-issued bills and coins bearing a “purely religious” message amount to an explicit endorsement of Christianity and monotheism. They contend that violates the Establishment Clause, the Free Speech Clause and the free-exercise clause of the First Amendment, equal protection under the Fifth Amendment and the Religious Freedom Restoration Act. Each of these claims was rejected by the panel – consisting of Judges Raymond Gruender of St. Louis, Arlen Beam of Lincoln, and Jane Kelly of Cedar Rapids. Kelly, however, filed a separate opinion concurring with the judgment, but she disagreed with the majority’s discussion of the Establishment Clause question. Writing for the majority, Gruender pointed out that the other federal circuit appeals courts that have considered this question have held that the motto does not violate the Establishment Clause, and the U.S. Supreme Court has repeatedly said as much (although in dicta, or passing references in related cases). The U.S. Supreme Court denied an appeal from five Iowa criminal defendants who argued for shortened prison terms based on a recent change in federal sentencing guidelines. The five defendants pleaded guilty to drug conspiracy charges that carried mandatory-minimum sentences of 20 years each. But because they provided “substantial assistance” to the criminal investigation, the government recommended sentence reductions, and U.S. District Judge Mark Bennett of Sioux City imposed prison terms ranging from 84 months to 264 months for the five. Three years later the defendants sought reductions of their prison sentences following changes in sentencing guidelines approved by the U.S. Sentencing Commission, which were made retroactive. Bennett denied the reductions, however, because the sentences he imposed below the 20-year mandatory minimum were based on a calculation factoring in the value of each defendant’s assistance to the government’s criminal investigation, not on the original U.S. Sentencing Commission guidelines. The U.S. Court of Appeals for the Eighth Circuit upheld Bennett’s decision on appeal, and the U.S. Supreme Court in a unanimous ruling handed down Monday agreed with both. “In each of petitioners’ cases, the top end of the [Sentencing Commission guidelines range] fell below the applicable mandatory minimum sentence, and so the court concluded that the mandatory minimum superseded the guidelines range,” Justice Samuel Alito Jr. wrote for the Supreme Court. “Thus, in all five cases, the court discarded the advisory ranges in favor of the mandatory minimum” to calculate the sentences. Former Iowa State Sen. Kent Sorenson’s 15-month sentence in federal prison for lying about taking payments for political endorsements was upheld by the U.S. Court of Appeals for the Eighth Circuit in St. Louis Tuesday. Sorenson appealed the sentence to the Court of Appeals, but a panel composed of Eighth Circuit Judges James Loken, Raymond Gruender and Duane Benton upheld the sentence in a four-page per curiam ruling. Sorenson was serving in the Iowa Senate in 2012 when he switched his presidential primary endorsement from Michele Bachmann to Ron Paul a matter of days ahead of the Iowa caucuses. He had been paid a total of $132,915.47 from the Bachmann and Paul campaigns, none of which was reported to the Federal Election Commission (FEC), and he lied about the payments in a sworn deposition. Based on the U.S. Sentencing Guidelines, that translated into a sentence of 24 to 30 months, but Pratt settled on 15 months, which was still harsher than the government prosecutors’ recommendation of two years’ probation and fines. Pratt explained his reasoning in a January in a 25-page sentencing memorandum. “The offending conduct in this case — the sale of one’s political influence as an elected official and proactive concealment of the transactions from the public and from regulators — can only be described in one way: corruption,” Pratt wrote. The Senate on September 28, 2017, confirmed U.S. District Judge Ralph Erickson to replace Kermit Bye of North Dakota, filling one of three vacancies on the U.S. Court of Appeals for the Eight Circuit. Omaha lawyer Steven Grasz seems likely to sail through the Senate to replace former Chief Judge William Jay Riley. Minnesota Senator Al Franken, however, has thrown up a road block on the nomination of Minnesota Supreme Court Justice David Stras to replace Judge Diana Murphy, who has taken senior status. Franken announced recently that he would not return his “blue slip” on the nominee to the Judiciary Committee, saying Stras would be too conservative. The blue slip is a senatorial courtesy extended to home-state senators of federal court nominees, and it would mean the end of Stras’ hopes of joining the court. That is if Iowa Senator Chuck Grassley sticks with the tradition of not moving judicial nominees until both home-state senators have signed off. Grassley said recently the blue slip tradition is intended for district judges, whose jurisdiction is limited to their home states, not to circuit courts of appeals that have jurisdiction over several states. Other Senate Republicans say the tradition is meant to delay, not permanently block, nominations, although both parties have used it to that end. In any case, the battle over the Minnesota nominee could have implications for the federal judicial confirmation process far beyond the Eighth Circuit. For more background on recent appointments to the Eighth Circuit, see the previous article Trump Administration has three vacancies to fill on the Eighth Circuit. This article was original published in the Summer 2017 edition of the Bar Association of the United States Court of Appeals for the Eighth Circuit Newsletter, and is reprinted here with permission. President Donald Trump is positioned to shape the federal circuit courts with 108 federal trial and appellate judgeships to fill when he entered office in January, twice the number when Barack Obama took office. And he shows every sign of moving aggressively to take advantage of this opportunity. The president had as of Aug. 3 announced 44 nominations, including U.S. District Judge Ralph Erickson of the District of North Dakota, who would replace Judge Kermit Bye of North Dakota, and Minnesota Supreme Court Justice David Stras of the Minnesota Supreme Court, who would fill the vacancy created when Judge Diana Murphy of Minnesota took senior status last November. The White House on Aug. 3 announced the nomination of Omaha lawyer Steven Grasz to replace former Chief Judge William Jay Riley of Nebraska, who took senior status in June. Presuming these three nominees are confirmed, President Trump will have appointed a third of the Eighth Circuit in his first six months in office. And, there could be three more vacancies during his first term, with Judges Roger Wollman and James Loken both already eligible to take senior status and with Duane Benton becoming eligible this year. President Trump’s current and potential first-term appointment opportunities will not change the makeup of the court based on the party of the appointing presidents, however: Seven of the eight active judges on the circuit were appointed by GOP presidents, and six of those were appointed by either George H.W. Bush or George W. Bush. The court has just one Democratic appointee—Judge Jane Kelly of Cedar Rapids. When the court was last at full strength, three of the eleven judges were appointed by Democrats. Comparing the active circuit-court judges by the appointing president’s party affiliation, the Eighth Circuit is the least balanced of all the circuit courts. Chief Judge Lavenski Smith of Arkansas, appointed by President George W. Bush in 2002, is the court’s only African-American member, and Judge Kelly is the only woman member. 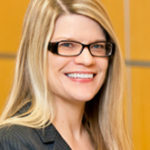 There was a chance that Kelly might have been joined on the court by another female Democratic appointee: Jennifer Klemetsrud Puhl of North Dakota was nominated by President Obama in 2016 to fill Judge Bye’s seat, but she never got a confirmation vote in the Senate and her nomination died in December at the close of the 114th Congress. President Trump, on the other hand, is in the rare position to run the table with federal judicial appointments, at least early in this term. First, the Republican-controlled Senate slowed the pace of judicial confirmations in Obama’s last year in office, which left the new president with those vacancies to fill along with new ones that have opened up since his inauguration. And, while Obama was criticized for being slow to make judicial appointments, Trump has in his first six months sent nominees to the Senate at three times the rate of the Obama White House. Second, Republicans hold 52 seats in the Senate, which is enough to confirm federal circuit and district court judges without a single Democratic vote, thanks to a rules change by the Democrats in 2013 eliminating the 60 vote threshold for district- and circuit-court nominees. For the Eighth Circuit, especially, there would seem to be no worries, what with Iowa’s Senator Chuck Grassley in the Senate Judiciary Committee chairman’s seat. All of which should mean smooth sailing for Judge Erickson’s nomination in North Dakota, where both senators have issued supportive public statements about Trump’s nominee from that state. Senator Heidi Heitkamp said she, too, supports Erickson’s confirmation. “Judge Erickson has proven through his decades of experience, record of impartiality, and devotion to his work that he is a judicious and thoughtful lawyer who continues to follow the rule of law,” Heitkamp said in a June press release. The same holds true for Grasz in Nebraska, where Senators Ben Sasse and Deb Fischer, who recommended Grasz for the Eighth Circuit vacancy, had high praise for his credentials and experience. That is not the case in Minnesota, where Senators Amy Klobuchar and Al Franken—both Democrats and both members of the Senate Judiciary Committee—had solicited applications for the opening before the president announced Stras as his pick. Neither has so far committed, at least publicly, to supporting or opposing Stras. Following Senate tradition, either Franken or Klobuchar could gum up the works for Stras if they were to refuse to submit a “blue slip” to the Judiciary Committee, a tradition in which senators indicate support for a nominee from their state by submitting a blue slip of paper to the committee. In the past, that gave home-state senators veto power over a president’s nominee, but Senator Grassley has hinted he may dispense with the blue-slip tradition for circuit-court nominees. Stras is an associate justice on the Minnesota Supreme Court. He was appointed to the court by Gov. Tim Pawlenty in May 2010 and elected to a full six-year term in 2012. Justice Stras is a graduate of the University of Kansas where he received his bachelor’s degree and a master of business administration. He received his law degree from the University of Kansas School of Law in 1999. Stras clerked for Judge Melvin Brunetti of the U.S. Court of Appeals for the Ninth Circuit, for Judge J. Michael Luttig of the U.S. Court of Appeals for the Fourth Circuit, and for U.S. Supreme Court Justice Clarence Thomas. Judge Ralph Erickson was appointed U.S. District Judge for the District of North Dakota by President George W. Bush in 2003. He was chief judge from 2009 to 2016. 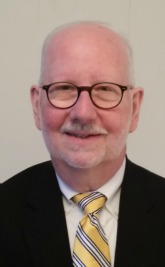 Erickson earned a bachelor’s degree from Jamestown College in 1980 and a law degree from the University of North Dakota School of Law in 1984. He was in private practice for a decade, served as a magistrate, county, and state-court judge before joining the Eighth Circuit. Grasz is senior counsel in the Omaha firm of Husch Blackwell, where he focuses on real estate, development and construction law. Before joining Husch Blackwell he was Nebraska’s chief deputy attorney general for 12 years. His appellate experience includes litigation before the U.S. Supreme Court, the Eighth Circuit, and the Nebraska Supreme Court. 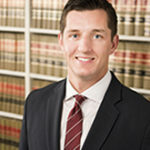 Grasz earned a bachelor’s degree from the University of Nebraska-Lincoln in 1984 and a law degree from the University of Nebraska College of Law in 1989.